Facebook has become the poster child for the groundswell in many academic and trade sectors of the published world for the dark side of the innovation process: the simple idea that in modern American culture we have continued to turn a blind eye and deaf ear to the unintended negative consequences of the innovation process and its outcomes, such as the new products and services that harm people. What better example to illustrate the dark side of innovation than to examine the introduction of AVs, or autonomous vehicles. First, there are the immediate potential harmful side effects of the innovation process from open road testing, obvious from reports of pedestrian deaths. Further, there is fundamental flaw in the application of autonomous driving to passenger cars. A near perfect exposé on the dark side of innovations like AVs is Samuel Schwartz’s new book, No One at the Wheel (2018). As AVs begin to proliferate in passenger car markets, the coming age of “global gridlock,” as Bill Ford predicts, will descend upon us. The former CEO of Ford, Alan Mulally, recently contributed an opinion piece in Automotive News that echoes Schwartz’s predictions. Mulally is now calling for autonomy in public transportation, not cars. To reduce accidents, one does not need the full complement of a level 5 AV. Technologies are already available to eliminate crashes. One final example might help to illustrate the breadth and depth of the dark side of the innovation process. Academic entrepreneurs—professors and researchers, primarily in the hard sciences and engineering—who circumvent the traditional university guidelines and rules governing the intellectual property filings of funded research projects. One survey of 128 directors of university technology transfer offices found that monetary rewards to inventors, departments or institutions do not engender academic entrepreneurship (like licenses to new ventures, incubators and startup ventures from university technology). Actually, the opposite is true. They found that “…monetary incentives given to scientists whose inventions were successfully licensed are significantly but negatively related to the number of equity licenses in young ventures and to number of startups,” (p, 359). Clearly, we are on the verge of a new set of important studies and reflective reports on the dark side of innovation and processes leading to new products and services. We have the potential to create a more culturally balanced view of this public and private issue that is so critical to our common futures. The dark side of innovation provides a cautionary perspective to the emergence of new products and technologies that claim to make our lives better. This discussion of innovation is the driving force of the Executive MBA course Managing Technology, Innovation, and Research, that introduces you to disruptive technologies, practices and business models. 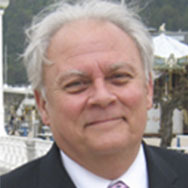 John Ettlie is the Rosett Professor of Business in the Saunders College of Business, Rochester Institute of Technology. Dr. Ettlie has published over 60 refereed journal articles and has made over 100 professional presentations worldwide on the management of technological innovation.